“Summer is coming on,” writes a blogger from Tasmania in this the third week of October 2012: a succinctly expressed reminder that this time of the year does not universally mark the beginning of simmers on the stove’s back burner, much baking in the oven, and a grateful appreciation for the extra warmth long hours of slow cooking give to a kitchen. 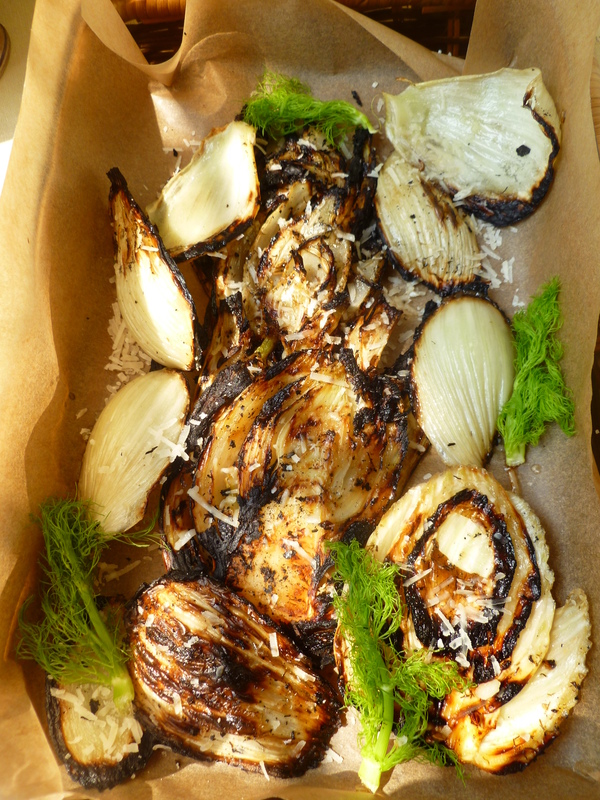 Hopefully this trim, delicious formula for grilling fennel will add pleasure to the holidays and occasions for outdoor summer dining which, for many, are just about to commence. 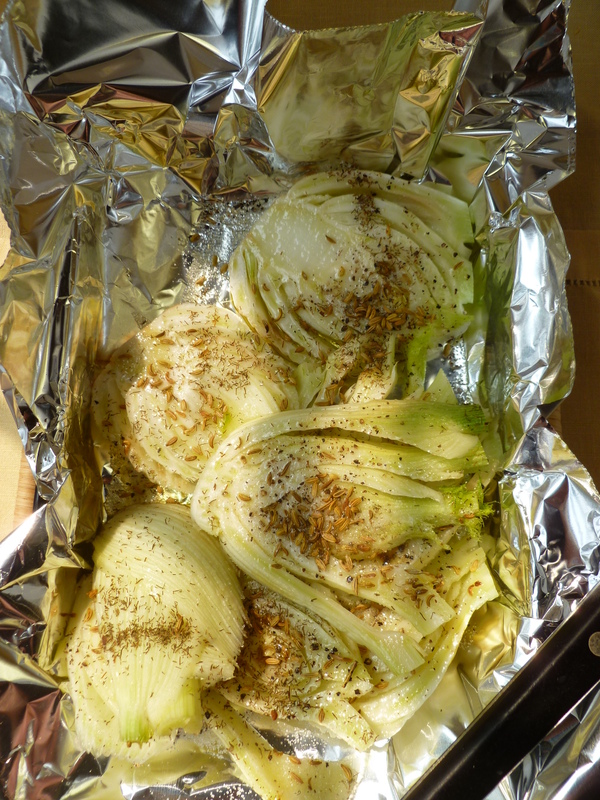 Timing Note: The total grilling time for the fennel is about 12 minutes. 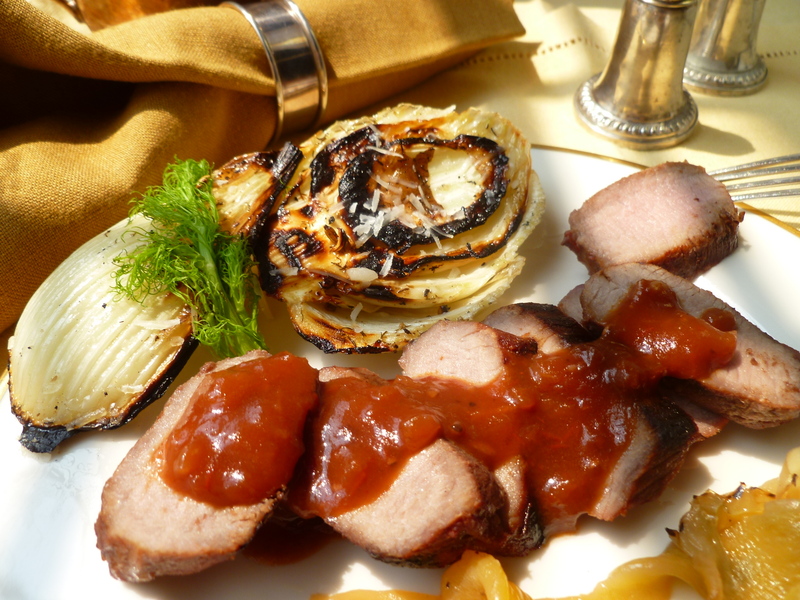 If you are grilling meat as well, you may want to grill the meat first–and then the fennel, while the meat rests before carving. Ingredients: In this sort of grilled vegetable recipe, the given amounts of ingredients are suggestive, not exact. A general guideline is that the olive oil should be drizzled with liberality, the amounts of the herbs should be increased according to taste, and additional sugar should be sprinkled on only sparingly–just enough to insure that every slice has a little sugar on it to give it a bit of caramelized crust. 1. 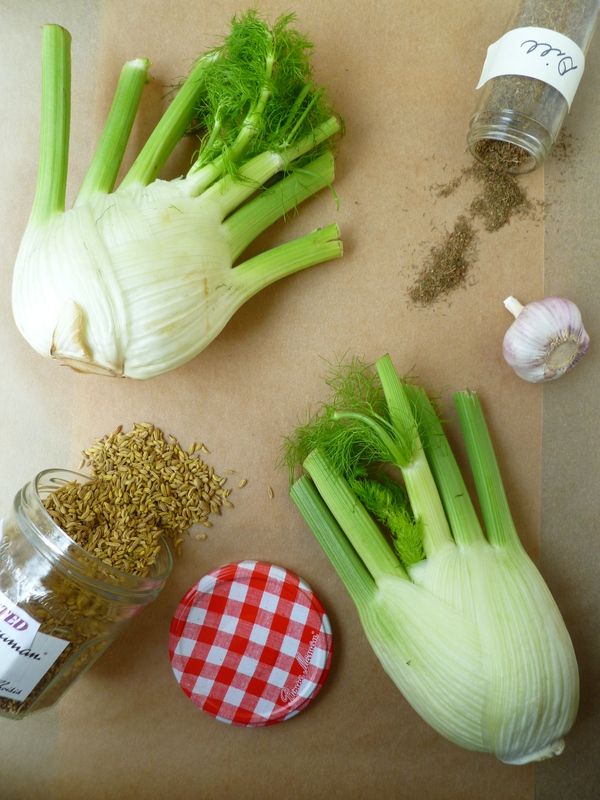 Cut off the small stalks of ferns sprouting from the ‘fingers’ growing out of the fennel bulb and reserve them for decorating the finished grilled fennel. Cut off most of each ‘finger’. Trim a portion of the base of each bulb–just to expose a fresh surface–leaving enough of it to hold the bulb together. Remove any brown outer leaves. 2. In the small bowl, mix the sugar, fennel seed, dill, olive oil, and some freshly ground black pepper and salt. 4. Oil the grill rack well. (Oil the stovetop grill once it is hot and just before placing the slices of fennel on it.) 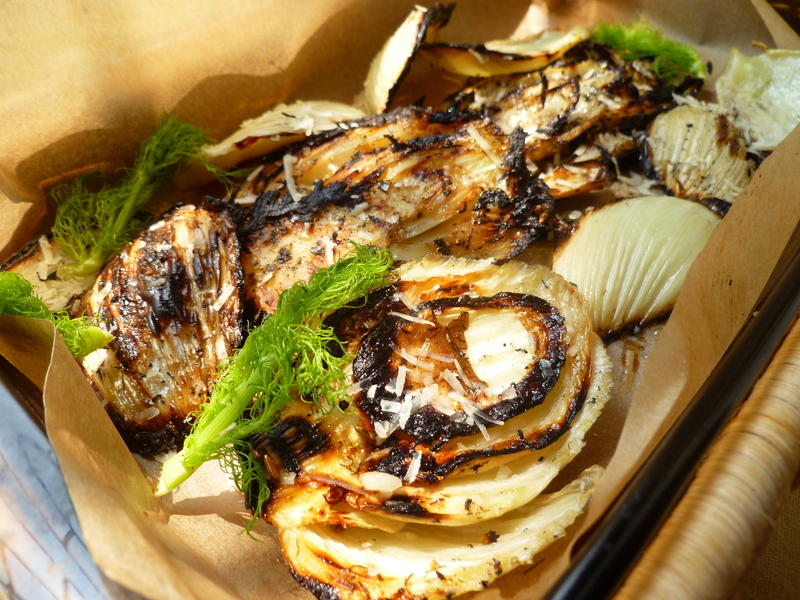 When the coals are hot (or the stovetop grill is very hot), place the fennel slices on the grill and grill for about 6 – 8 minutes, or until the side facing the coals is marked by the grill and charred at the edges. Turn the slices and grill them for about 4 more minutes. When it is done, the fennel will still feel a little firm. 5. Transfer the fennel to a tray and sprinkle it with the Parmesan cheese. Cover the slices loosely with aluminum foil. If your attention is drawn to another necessary activity at this point—for example, carving meat or arranging plates– place the tray of fennel in a 400 F. oven for a few minutes to keep it warm. 1. 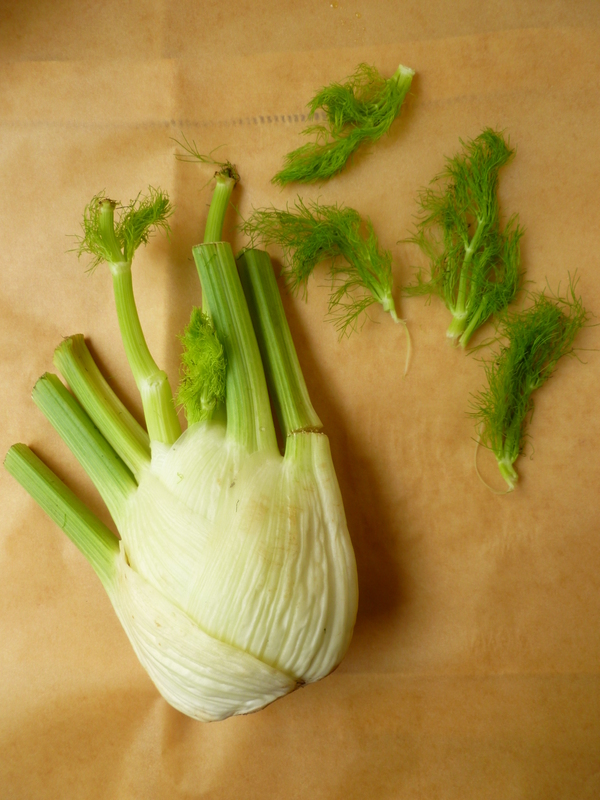 Cut the small stems of fern from the bulbs, reserve them, and place them around on a tray of grilled fennel or on slices of fennel arranged on individual plates. 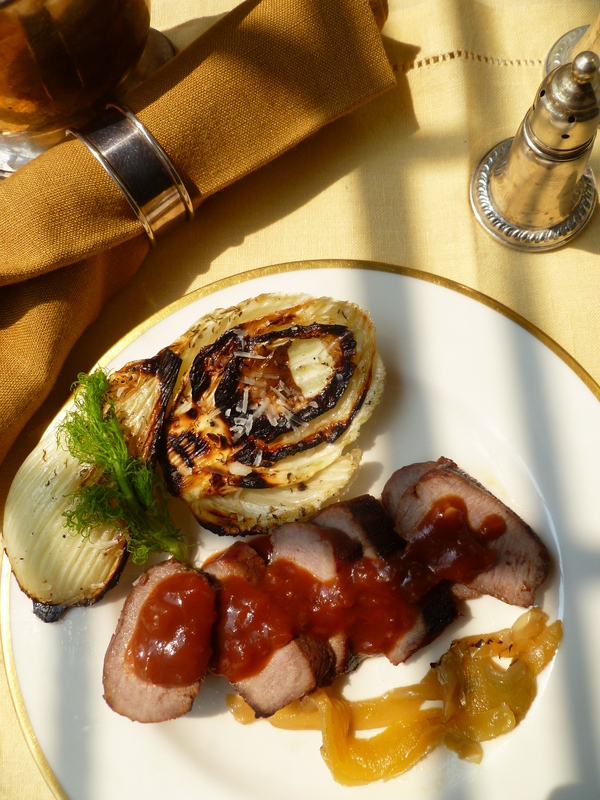 A Note: Grilled Caramelized Fennel accompanies Grilled Boneless Loin of Lamb with Sauce Creole in the Dinner Menu: Dinner ‘Louisianne’. The recipe is based on one from Yotam Ottolenghi’s cookbook Plenty (2010). An Invitation: You are invited to request suggestions from thediplomatickitchen for your own menus for any occasion by clicking on the feature ‘Ask and Tell’ here or in the Menu at the top of the page. Do you have a menu concept with a gap or two that wants filling…or perhaps you are an expat looking for ways to adapt your recipes to what is available in your temporary home…maybe you are just looking for a new way to use a familiar ingredient…Replies will be published in ‘Ask and Tell’ or sent by email if you prefer.